With the summer months around the corner, parents start thinking about activities for their children. Summer is an exciting time to celebrate milestones and pursue other interests. Nevertheless, during the summer months, some children become more dependent on TV, game consoles, or other electronic devices for entertainment. With growing evidence of the negative effects of exposure to devices and recent research on how the brain is wired differently when exposed to technology in early ages, parents are becoming increasingly aware of the importance of helping their children disconnect from technology. Educators and psychologists recommend that instead of playing with screens, parents should limit screen time during the summer months and plan activities and experiences that they can do together or independently. Involving your child in the decision process of selecting activities is a great opportunity to learn about his or her strengths and interests. Selecting summer activities could be the start of a family adventure! Consider visiting different summer camps with your child and allow your child to get involved in the process of choosing the activity or the provider. 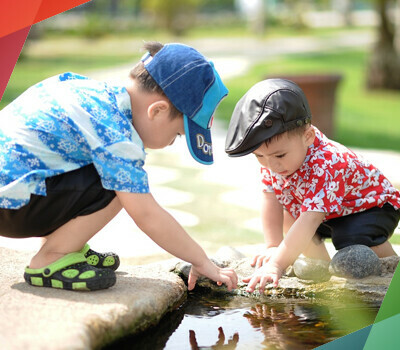 Pick activities and providers that offer activities that your child enjoys. If your child enjoys art, consider a summer camp that offers opportunities to create. If he likes to build, consider STEM summer camps or a sports camp. Help your child write some questions he would like to know prior to the visit. During the visit, allow your child to ask questions to the provider if needed and then reflect together on the different options. Another idea is to create a summer journal. Include a list of places to visit during the summer months and a wish list of things you would like to do together. Prior to your visit, ask your child questions about what he knows about the place to gain an understanding of what he knows. Shortly after your visit, record things that you both learned from the visit of activity on a summer journal and extend the learning with other questions that you would like to answer. There are so many ways to offer intentional learning opportunities such as making a summer budget to practice math skills or making a scrapbook of the experience. Whatever you choose, offering your child opportunities to benefit from unplugged play and learning will allow your child to become a lifelong learner. Marnie Forestieri is the Chief Learning Officer and Co-Founder at Amazing Explorers Academy®. She is an entrepreneur with a passion for education and innovation with an ability to translate market trends into successful business models and innovations.